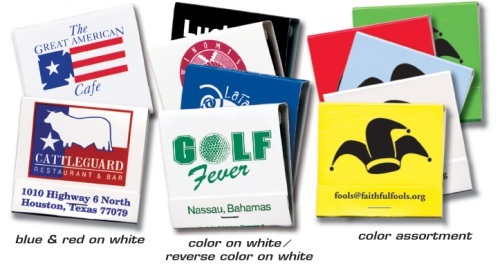 Here’s the most cost-effective advertising medium ever invented – 30-stick match books. Match books have no equal in their low cost per use. Customers take home match books and keep them. 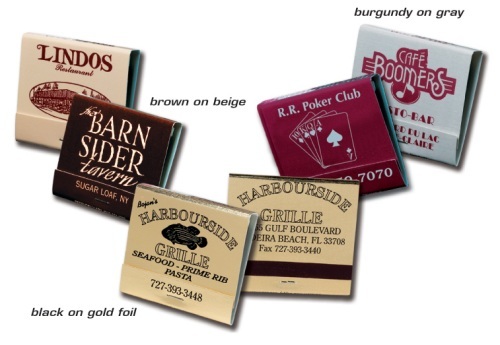 30-stick match books are as effective if not more effective than a business card. Give us a call at 706-374-0710 for more information and a FREE quote. 30-stick custom matchbooks are packed in cases of 1000 books. Minimum order is one case, or 1000 books. An additional $50 non-refundable artwork layout charge must be paid before work can begin. Copyright © 2019 Heritage Advertising. Powered by WordPress. Theme: Spacious by ThemeGrill.